I absolutely love this bakeware set. Great quality and great looking. 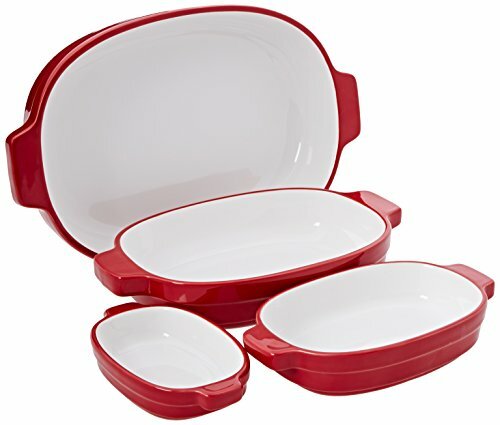 They come in a variety of colors so they can easily go with any decor and they are the sturdiest cassarole dishes I have owned yet. They easily go from oven to table and hold some heat keeping things warm while its being served. I love that they all nest together, helping my cupboards look organized and tidy, and that nothing ever sticks to these so clean up is a breeze when dinner is done.